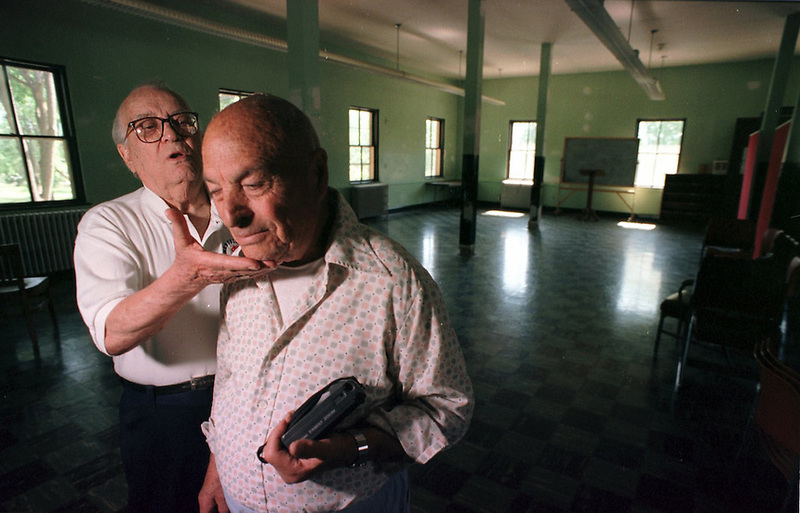 Former Italian internees Alfredo Cipolato, left, and Umberto Benedetti walk through the barracks at Ft. Missoula where Cipolato slept as an Italian internee during WWII. Benedetti's barracks was nearby. Both men have stayed in the Missoula, Mont. area.